GET READY TO HAV FUN AND MEET NEW FRIENDS! Life's a Ball is all about fun! 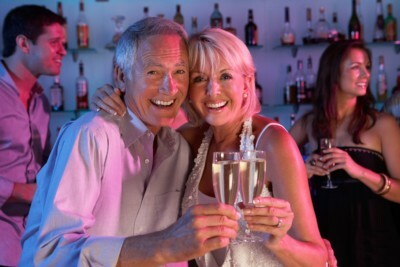 The ideal events that are designed for singles and those that want to meet new friends and extend their social circle! We have been creating new relationships for well over a decade and continue to bring people together at our regular events. We are NOT a dating site but that doesn't mean you can't meet other singles. That is what is so special about Life’s a Ball – Mez & the Party Crew mix and mingle and help you make that connection or give you an excuse to approach someone. If you’re looking for quality single's events with others that want to socialise, then attending a Life’s A Ball event is a MUST of things to do in Melbourne! At Life's A Ball, we pride ourselves on providing opportunities for singles in Melbourne to meet other genuine singles in their age range. Parties are held at different venues throughout Melbourne and offer a mix of live music, DJ’s, Fast Flirting, Match Cards and Dance Lessons – all designed to get you chatting with other guests that are predominately in the 40's plus age range. If you’re looking for a friendly, fun group of people to socialize with and maybe even meet your match – This could be for you! If you are looking for the ideal venue to celebrate a special occasion (birthday/girls night out) at selected events you can book a table in advance! The perfect guarantee that you will have a party atmosphere fit for any celebration. With events held weekly in Melbourne, you will be sure to find an event to add to your calendar to get you socializing with others that are interested in making new connections.